YouTube phone app is available for a smartphone like iPhone and Droid. 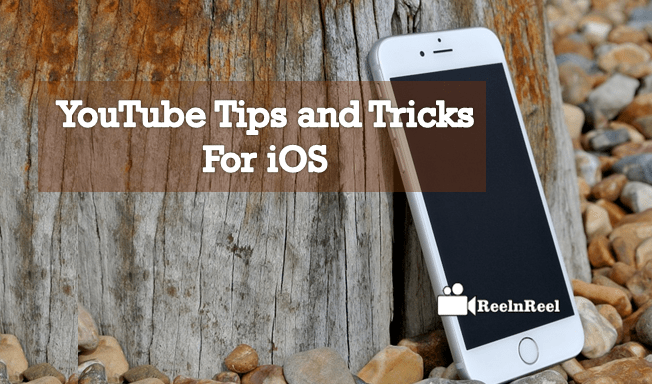 There are some tips to be followed to use YouTube better on iOS phones. Though there is no built-in YouTube app for iOS in some devices, it is easy to grab the Google released free YouTube app. If you have your account on YouTube, have it synced up to iOS devices. Open the YouTube app on your iOS device. Find the ‘Sign in’ button at the top left and enter your credentials. YouTube for iOS also supports YouTube Red. iOS users can also enjoy YouTube on the web just like you use it on your desktop. YouTube app not just allows watching videos but also uploading to YouTube. The latest version of YouTube app offers to edit videos, add filters and music and upload to YouTube directly. It is also possible to adjust video playback speed in YouTube for an iOS device by tapping on the triple-dot menu in the upper right corner of the video. With the latest update, it is also now possible to live stream from iPhone or iPad screen to YouTube app. Chatting and discussing the videos is now possible within the YouTube app for iOS devices. Video sharing functionality is also available. Tap on the ‘Shared’ tab in the YouTube app for iOS. The link can be shared with friends via text messages or through email or any other social network. Watch the YouTube videos by downloading them using free YouTube Downloader. A file management app ‘Documents 6’ claims to let the user download YouTube videos. The downloaded video appears in the downloaded section of Document 6 app which then saved to the device for watching it later. Another way is to watch YouTube videos offline is to download them on PC and to share them to iOS devices.